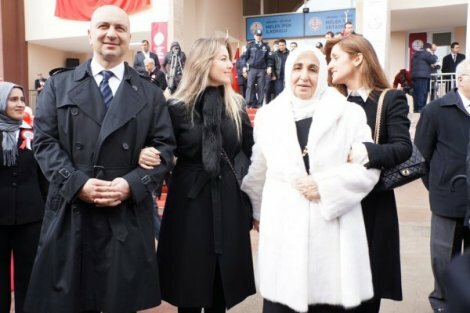 A Turkish court on Tuesday ordered the seizure of all assets of Turkish businessman Akın İpek and his mother, Melek İpek, over their alleged links to the faith-based Gülen movement. The Ankara 6th Penal Court of Peace ordered that all assets belonging to the İpek family to be transferred to the Savings Deposit Insurance Fund (TMSF) over alleged links to the Gülen movement, a social movement inspired by US-based Turkish Islamic scholar Fethullah Gülen, who the Turkish government accuses of masterminding a failed coup attempt on July 15. The court also ruled for the seizure of all assets belonging to businessmen Hamdi Akın İpek, Cafer Tekin İpek, Pelin Zenginer, Ali Serdar Hasırcıoğlu and Şaban Aksöyek. The İpek family has been under immense pressure from President Recep Tayyip Erdoğan and the Justice and Development Party (AKP) government due to alleged links to the Gülen movement following corruption operations that were conducted on Dec. 17 and 25, 2013. Turkey has already confiscated some TL 12 billion (about $4 billion) in property that belonged to the İpek family as part of an investigation into the Gülen movement, according to a statement by Minister for Environment and Urbanization Mehmet Özhaseki on Sept. 1, 2016.